The Piedmont capital city is Turin and the most of the action wine wise tends tends to happen a bit south east of Torino, little further away from the hills. 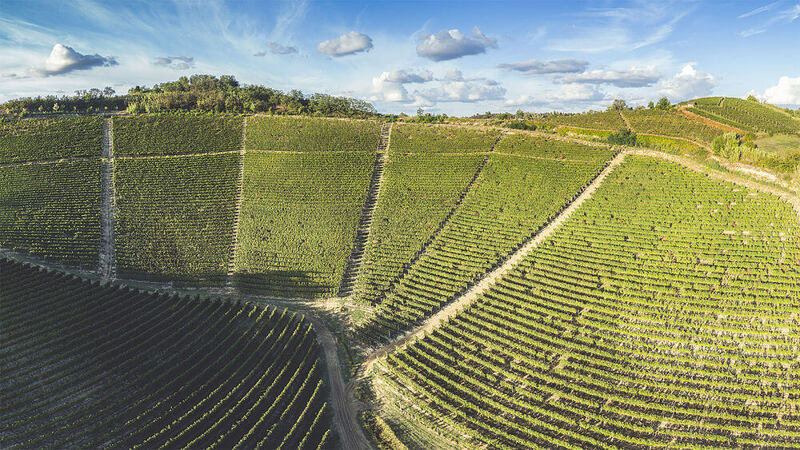 In this Region Wine Guide we are going to focus on the wines from the Langhe, Roero and Monferrato Valley, in particularly from the city of Asti. 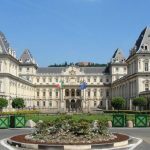 Discover all the city in Piedmont Region, Italy. For the sake of wine you need to know for the first of all what grapes are involved in Piedmont region. The Piemontese wines are focus to be elegant, prettier and stoic. Where Piedmont region is located in Italy? The most widespread and distinguishing vine varieties are the Barbera, from which the wines Barbera d’Asti DOCG and Barbera of Monferrato Superiore DOCG are produced, the White Moscato, from which the Asti Spumante DOCG and the Moscato d’Asti DOCG are produced, and the Nebbiolo, from which red wines for long aging (the Barolo DOCG) and (the Barbaresco DOCG) are produced. Basing almost the entire production of “local” wine grapes “, is one of the major peculiarities in this area and compared to other wine-growing regions of the world. In the Langhe – Roero and Monferrato are produced a wide range of wines: red, white, sweet and aromatic, sparkling wines. Among these, as already mentioned, productions of very high quality wines of wider international success are linked to great red wines for aging (Barolo, Barbaresco and Barbera d‘Asti) and to sparkling wine in base Moscato (Asti). 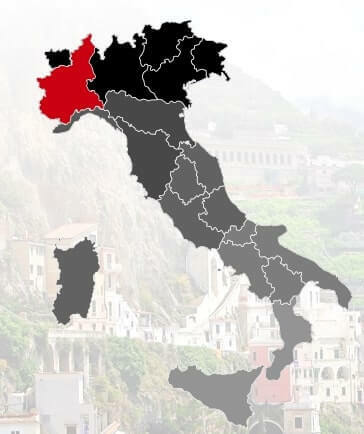 Currently, the Piedmont is the Italian region with the highest number of wines classified as DOP protected designations of origin and scope of the Langhe – Roero and Monferrato and it incorporates the most of the Piedmontese DOC and DOCG, presenting 27 DOC and 13 DOCG. 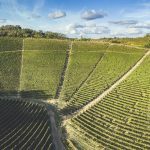 Wine Operations usually start in late September and October, when the fertilizer is spread between the rows to ensure next year’s crop and then it goes on plowing the space between the vine variety’s rows that often, in the most rugged areas, is still handmade. The last intervention before the winter break is the preparation of drains for rainwater harvest. The delicate phase of winter pruning begins in mid-January (observing the moon’s cycle, because, according to farming tradition, to best support this work must not be in the full moon) and can last for the entire month of March, simultaneously they proceed with the replacement of damaged fences and in April shoots are fastened on iron wires of the rows. May is dedicated to suckering, in other words a pruning which eliminates sprouts that are not useful to the vine, which will not produce bunches. The summer expects some light tillage operations of the plot between rows, in order to keep clean the grapevine’s and, if the season is not adequately sunny, they proceed with the “spam pinatura”, namely pruning the vine leaves, that do not allow the sun to filter and the bunches’ maturation. In Autumn the grape harvest, whose start date can vary depending on the vine variety, is always the focus of an entire year’s work and today, as a hundred years ago, is the culminating moment in which they can achieve the expected results of the long work efforts of a year. All the people are involved in the grape harvest’s operations: men carrying heavy loads, women with their small hands can reach the bunches hidden in dense foliage, children who are dedicated to lower branches and elders who oversee the operations. During the grape harvest many people gather at a property: friends and relatives, who may live in the city during the year, reach the country for the occasion, neighbors and neighboring land who exchange mutual aid, because the grape harvest, once started, can not be interrupted and must be completed, in any weather, rain or shine, in order to provide the same quality to all grapes and the greatest homogeneity to the wine that will be produced. The Nebbiolo is one of the first Piedmontese wine variety to be mentioned in historical testimonies. Since 1200 there are documents that attest the presence of “Nibiol” or “Nubiolio” in foothills. Even then it was considered a valuable vine and its cultivation was specifically protected by the rules of municipal statutes. The high esteem that Nebbiolo enjoyed between 1200 and 1500, was maintained and even increased in following centuries. In 1800 the Nebbiolo’s story proceeds together with that of famous noble Piedmontese families, big vineyards’ owners, who saw a sign of distinction in the production of high-quality wine: the Count Camillo Benso of Cavour cultivated, in the Grinzane’s estate, especially Nebbiolo and Dolcetto, the King Carlo Alberto built the Pollenzo’s Agency, made up by several estates characterized by Nebbiolo’s cultivated vineyards. In these places were made very important steps in the history the Nebbiolo’s success and the Piedmontese winemaking. From Nebbiolo we get the two most noble Piedmontese red wines: the Barolo and the Barbaresco. Rewearded in 1980 with the DOCG, it is produced by eleven municipalities (Barolo, Castiglione Falletto, Serralunga D’Alba, La Morra, Novello, Monforte, Verduno, Grinzane Cavour, , Roddi) that have authorization to produce the finest grapes “Michet”, “Lampia” and “Rosè”, which are considered the best fruit of the Nebbiolo’s wine variety. The Barolo’s origin is mainly due to Giulia Vittorina Colbert de Maulévìrier, who in 1806 marries the Marquis Carlo Tancredi Falletti of Barolo, thus becoming the famous Marquise Falletti of Barolo. At that time, the charm of French wines – and especially those of Bordeaux and Burgundy – was so widespread that in many areas they tried to imitate this models, in order to improve local wines’ quality. In 1843, the Count Camillo Benso of Cavour- at that time mayor of Grinzane – called in his estates the French enologist Count Louis Oudart, giving him the task of wine’s production in the castle’s wine cellars. Thanks to his friendship with the Count Cavour, the Marquise Falletti of Barolo asked the French enologist advice, on how to improve the wines of her wine cellars, in the hope of making them similar to those France. Louis Oudart discovered that low temperature was the cause that gave the Barolo’s wine its sweetness and suggested the use of specific yeasts. The Marquise decided then to completely revolutionize the production system of her wines, adopting the systems suggested by Outard, introducing innovative enological technologies, which transformed forever the Barolo from a sweet wine to a great dry wine, “the wine of kings, the king of wine”. It was a resounding success, so that even the Count Cavour decided to convert his castle’s wine cellars of Grinzane to the production of this “new wine”. The new Barolo infected even Carlo Alberto and the King Vittorio Emanuele II, who showed a lot of enthusiasm about this wine, so that he converted his estates of Serralunga d’Alba and produced this famous wine. 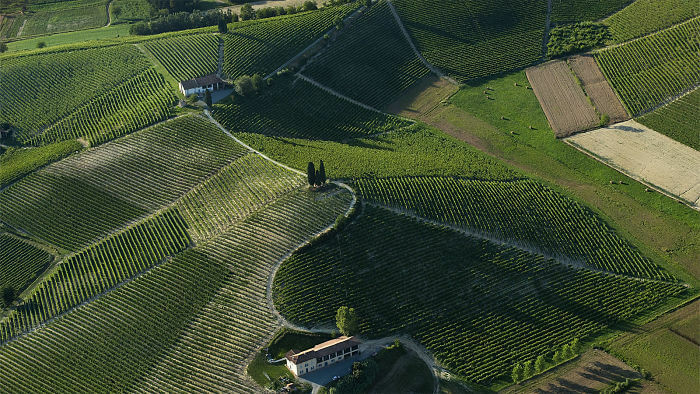 The Barbaresco wine is produced only in the villages of Barbaresco, Neive, Treiso and San Rocco Seno d’Elvio. It obtained the D.O.C in 1966, while the D.O.C.G dates back to 1980. The Barbaresco is a wine with very ancient origins: already Tito Livio mentioned it in his monumental Ro man History. In ancient times the Barbaresco was indifferently called Nebbiolo or Barolo, and was fermented with the addition of grapes Moscatello and Passeretta, that conferred a sweetish and effervescent taste. About the Barbaresco that we know today, such as an aristocratic red wine, we have tracks already in 1799, when the Austrian General Melas required the “Nebbiolo of Barbaresco’ to celebrate worthily his victory against the French. lt was, however, only during the half of the ‘800 that started the production of the dry type, which highlights all extraordinary capacities of this wine. Professor Domizio Cavazza, famous winemaker, compared the Barbaresco to the best French wines and described it as “fine, soft, generous”, the same professor Cavazza oriented the new vitrification technique, and founded in 1894, a wine cooperative for the exclusive production of Barbaresco. 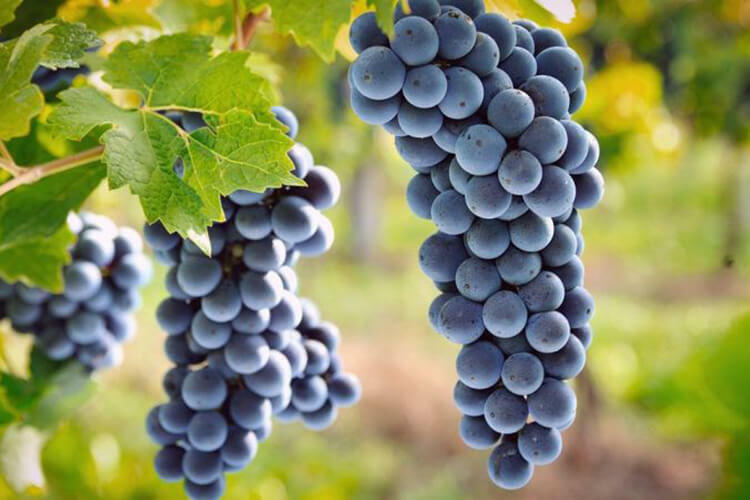 The Barbera wine, derived from the cultivation of the same name vine variety, is among the most exported wines both in national and international markets on the Italia scene. At the recognition of the D.0.C, which occurred in 1970, it was added in August 2008 the D.0.C.G. 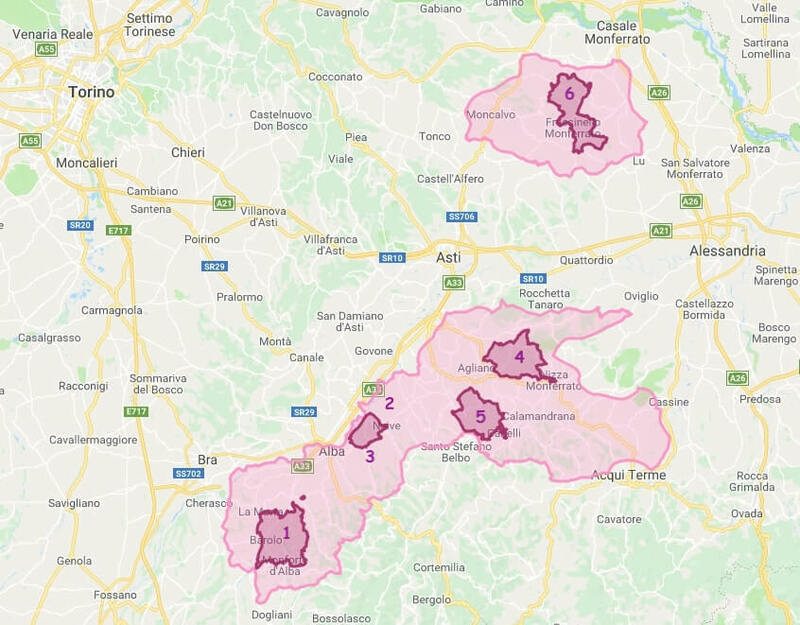 concerning the Barbera d’Asti, Barbera di Nizza Monferrato and the Barbera of Monferrato Superiore. The history of Barbera wine is closely linked to its of the same name vine variety, mentioned for the first time by the registers of Chieri in 1514; however some scholars claim that it may have even more remote origins, when it was probably identified with another name. In 1798, the Barbera is officially mentioned among the black grapes of the highest quality in the first “ampelografico” Piedmontese catalog and, 3 few years later the “Corografia Astigiana”precisely defines the selected area for the Barbera’s production: “Corografia Astigiana” “The Asti territory, being everywhere characterized by delightful hills, where grapevines are excellently arranged, and their wines are beyond any doubt the best of any other country. The Barberas then wonderfully meet in the surroundings of Asti, Scurzolengo, Portacomaro Migliandolo, Castiglione and Quarto, and also in the Southern hills of San Marzanotto and Rocca d’Arazzo, and on those of Vigliano, Mongardino, Montegrosso D’Asti, Montaldo, Mombercelli, Belvedere, Vinchio and Vaglio Serra“. Starting from the first overseas export~ Rio deJaneiro in 1819 – the American market showed a deep interest in this wine, also appreciated after the production crisis triggered by the two world wars, and still today is recognized as traditional product and recently it has been re~evaluated as refined wine. Already used in the sixteenth century to the production of wines “Clarets”, the vine variety is certainly popular at the end of the Xvlll century in the area between Asti and Casaie, from where it was spread later in the province of Alessandria. At that time, the Grignolino was very welcome at the court of Savoy, during fish banquets. Then, thanks to strong contributions of the rich bankers from Asti, the trade of this wine has greatly increased and the name Grignolino took over on the others. It’s documented that the end of the nineteenth century is one of the most glorious aments in the history of Grignolino, that was considered one of the main vine variety of Piedmont, also praised in i 891 by Umberto I of Savoy, on the occasion of his coming to Asti to the Exhibition and Fair of national wines. In the early 1900s it was described as a delicate vine variety, whose production had been limited and mixed with that of Barbera, in order to obtain a more robust and durable wine. The term “Moscato” appears in the second half of 1200, with the meaning of “perfumed”, however the earliest evidence relating to the vine variety’s cultivation date back to the XIV century. In 1600 it was considered among the white grapes “most excellent” in Piedmont and in the following century some specialized books include the “White Moscato” of Piedmont among the finest vine varieties. “Asti Spumante”, derived from the processing of the Moscato vine variety. The wine comes from a particular vinification process that differentiates it from other white wines deriving from the same vine variety. The quality recognition of D.O.C.G. dates back to 1993. Since 1932 the Asti Spumante – one of the most famous enological products in the world, with an export of about 80% – is protected by the Consortium of Asti D.OC.G, which dedicates itself to the research in order to improve the production and promotion of the product and its territory of origin, as well as performing control functions over the entire production chain to protect companies and the final consumer. The first sparkling process of Asti Spumante was made in Canelli, around 1860, by Carlo Vallarino Gancia, the father of Asti Spumante today. He entered the history of Piedmontese winemaking and was able to adapt the champenoise method, of French origin, to the Moscato wine grapes. The process included a second fermentation in the bottle, in order to obtain a sweet sparkling wine: Gancia succeeded with his plan, pioneering a method that still bears his name, then used by all producers in the area. Roero Arneis wine comes from the grapes of a vine variety often remembered with the Latin name ‘Renexium” quoted since the fifteenth century in numerous Io cuments that relate to this area. It has always been considered one of the best vines and rooted in the mentality of the wine makers, so that at the beginning of the last century it was sometimes referred to as ‘white Nebbiolo°. The “Arneis festival” which takes place in July in the hamlet of Sant’Anna of Monteu Roero has now out passed the twentieth edition. In 1972, the UNESCO adopted the ‘International Convention on the protection of cultural and natural heritage of the world’. According to it a site, to be inserted inside the World Heritage List, must have an outstanding universal value or rather to express a so significant meaning as to transcend national boundaries and to be of common importance for present and future generations. The site proposed for registration must meet at least one of 10 criteria established by the UNESCO, meet the integrity and authenticity requirements, and stands out from the territories already registered on the basis of a close comparative analysis. the wine-growing and producing landscape of Piedmont, specifically, has been registered as representative of two cultural criteria. First the hills of Langhe Roero and Monferrato illustrate an outstanding example of the interaction between man and environment (criterion v): the rows of vines, the scheme of the plots, the housing forms integrated with the environment, outline a landscape where every change is closely connected to the centuries-old human desire to obtain the best possible conditions to: grapes’ growing. The second key element for the nomination of Piedmont regards the material evidences produced by man over the centuries (criterion III). In particular the multiple forms of settlement urban centers on the plain, summit and ridge villages, many small rural Villages ‘ each offering emblematic architectures of a specific historical period. Examples are the medieval castles. as well as baroque squares and parishes: all these elements dot the landscape becoming real visual fulcrums for those who keep the view that opens from one of the many lookout points around the territory. 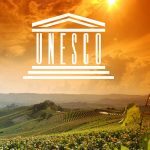 The Areas entered in the World Heritage List The six registered areas in the Unesco World Heritage List are, for a careful tourist, an univocal explanation of how the wine growing and producing culture has drawn over the centuries a cultural landscape. All in these areas speaks and smells of wine, but each of these areas has a number of distinctive characteristics that make it unique within the series. refer each one to a specific production system based on a vine variety traditionally attested in Piedmont, closely linked to the peculiar climatic conditions (terroir) appropriate to enhance their productive potentialities, from which it is made a very high quality wine. “The Castle of Grinzane Cavour” (2), together with the experimental vineyard which lies on its slopes, was selected as the artifact has historically played a major role in the development of the Piedmontese and Italian winemaking and is the symbol of the link between the wine history and the history of Italy. During the nineteenth century was in fact the residence of the Count Camillo Benso of Cavour, a key figure in the events that led to the Unification of Italy, who devoted himself to experiment with new winemaking techniques of the Nebbiolo’s wine variety with the contribution of Italian and French world famous wine experts. “The Monferrato of Infernot” (6), complete the palimpsest of vernacular architecture tied to the wine’s cycle. In this area focus in fact the infernot, small underground rooms carved with extreme skilling a particular stone material (la Pietra da Cantoni) that characterizes the geological substratum of a specific part of the Monferrato, used for bottles’ domestic storage.